A very important characteristic of Ryssen Alcools is the great flexibility regarding logistics and conditioning - a service which our customers value greatly. This also means that there are no logistical restrictions regarding the sourcing of our raw materials. Ryssen Alcools has its own tank farm with a capacity of 300,000 hectoliters directly on site from which we supply our customers by road, rail or ship. Up to 120 road tankers per day can be loaded and unloaded. There is also a private rail connection directly on site and a loading and unloading capacity of up to 18 rail tanks per day. 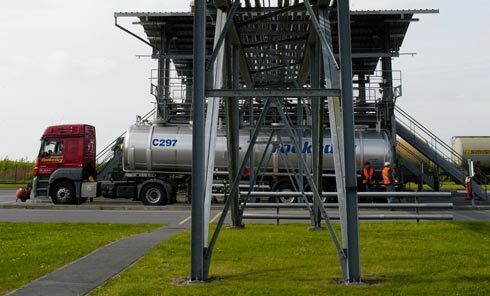 Located by the seaside, Ryssen Alcools can take full advantage of the Dunkirk harbour facilities and therefore receive and ship big bulk lots of alcohol from and to locations all over the world. River barges are also available for European destinations. For smaller volumes, Ryssen Alcools offers a variety of sizes such as IBC (1,000 litres), drums (230 litres) and plastic tins (20 litres) depending on the customers requirements.